This sticker follows the aesthetic of older German stickers called spuckies. Similar to the “spuckies” style of images printed on cheap paper, this sticker features a black and white photograph of a young girl with her mouth covered by a cloth that reads § 218. 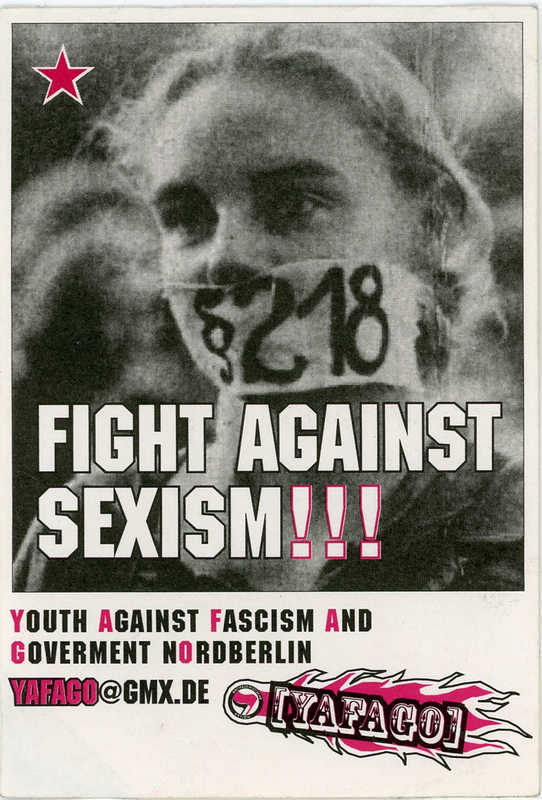 The Paragraph 218 references the women’s group who fought against the section of the German Penal Code that makes abortion illegal. The sticker references past feminist movements but also demands action and support in the present.